Višnja gora castle was the seat of Counts of Višnja gora whose origin was in the lineage of Askvin, countess Hemma and counts of Plain by which a large alodial estate in Lower Carniola was inherited. In the 12th century its lord was Majnhalm of Višnja gora (1132-1165), brother of lords of Styria Pris and Plains and is for the first time named after the castle in 1152. 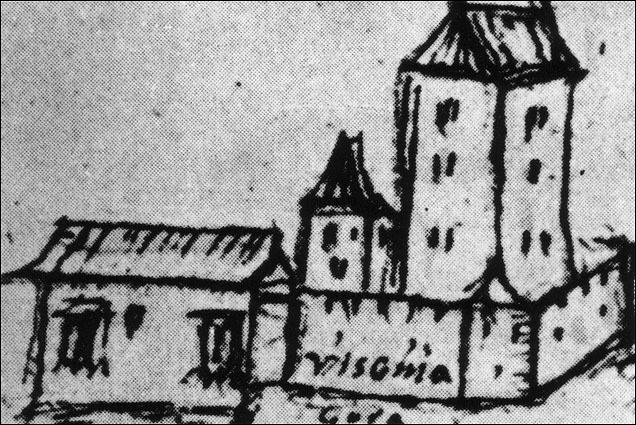 Two years later, in 1154 also the castle is explicitly mentioned as castello Wichselberg. 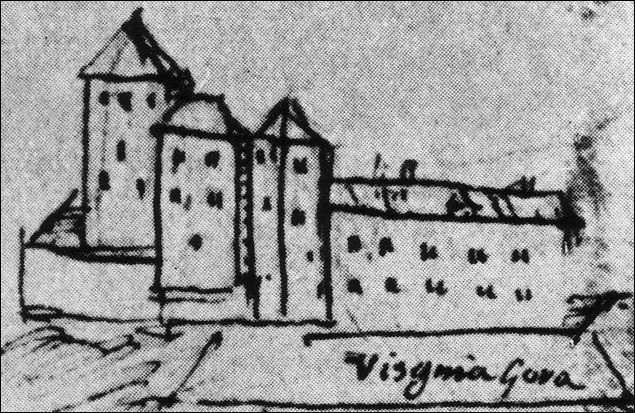 Then the document was issued on the castle where Majnhard of Šumberk ceded some estates to monastery of Vetrinj (Viktring. Alodial estate of lords of Višnja gora was all the way to Krka on its western and southern side where it bordered to estate of Babonič family from Croatia and around 1200 count Albreht has even reached over Gorjanci and merged the whole area of present day Bela Krajina to his alodial estate and protected it with his fortification Mehovo. In the second half of 12th century noblemen of Višnja gora are mentioned many times but their lineage has already died out with the generation which has succeeded Albreht. Their heirs were counts of Andechs, Babenberg and later Spanheims which also managed their estates by ministerials like lords of Višnja gora before and are also well represented in preserved documents from the start. They disappear from public in the last quarter of 12th century and are as castellans replaced by lower ranking knights. 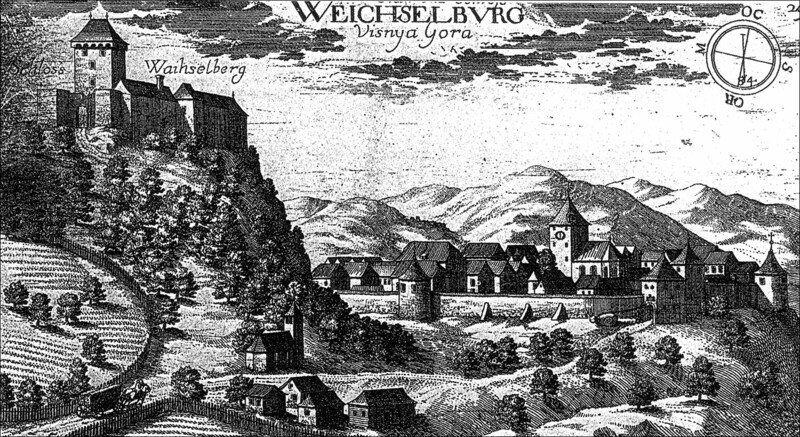 Greater part of Višnja gora-Andechs estate was gained by Frederic II., duke of Styria, by a marriage to a Agnes, daughter of Oto, duke of Merania in 1230 and was in his posession until his death in 1246. Later duke of Carinthia, Ulrik of Spanheim took over the estate by mariiage to Frederic's widow. In a document dating to 1250 we can find out that Ulrik of Spanheim, who took over greater part of Višnja gora-Andechs estate after Babenbergs, has settled with Bertold of Andechs, patriarch of Aquilea. He handed over all requested castles along with Višnja gora which was occupied from 1251 by government vicar count Majnhard of Gorica. The castle remained in Spanheim family managed by castellans. Duke Filip namely did not mention the castle in his will from 1279 but it was listed in estate census of Carinthian duke in 1311. In the middle of 14th century it was subdued by Habsburgs but it was in the hands of counts of Cilli before 1386 who sold it to counts of Ortenburg that year and when they died out the castle became a property of provincial prince. From 16th century on some noble families were on the castle. In 1573 archduke Karl sold the dominion to Jurij count Khisl and after its owners were Moscons and finally Auerspergs in 1631. They have abandoned the castle in 18th century and left it to its decay. Castle explorer Otto Piper has visited the castle in the beginning of 20th century. He mentioned that the castle is, as most of castles in Slovenia, pillaged for most of its stone masonry. 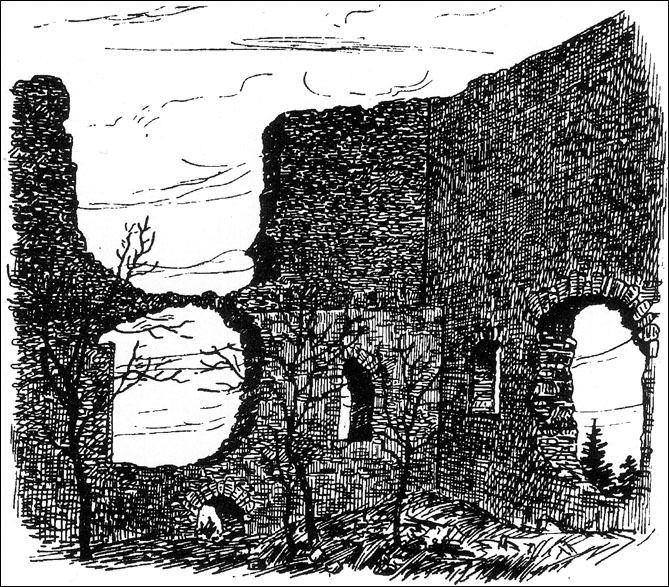 The ruins have not changed much according to his description but it is evident from his sketch that the ruin has lost some of its stones in these hundred years.